Discover Vestel, discover sensational TV viewing. 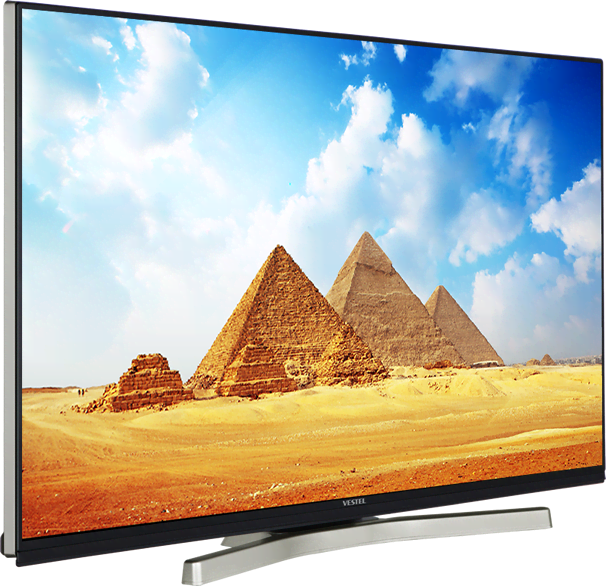 Introducing more of the latest TV technologies to more homes, Vestel has developed its own OLED TV. 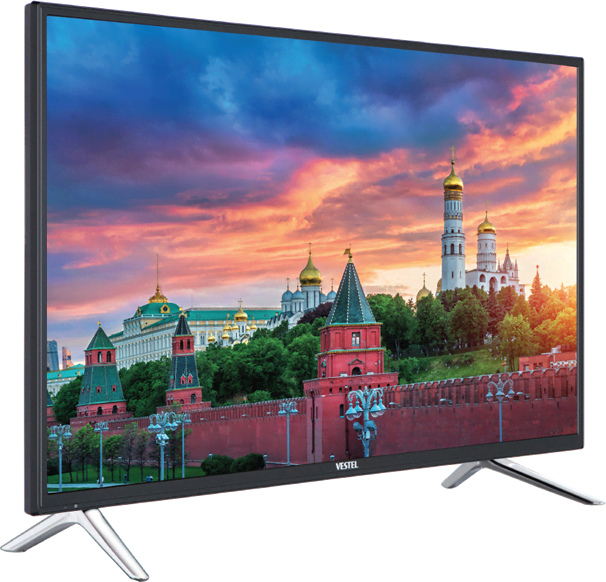 Promising to deliver a more powerful, compelling and deeply immersive viewing experience, the TV displays authentic blacks for incredible on-screen effect. Ensuring unprecedented colour precision and picture accuracy, this model sets the deepest blacks against the purest shades and hues to create spectacular colour contrasts. Introducing viewers to cinema style, edge-to-edge viewing, the Vestel Borderless TV is a design feature in itself, perfectly suiting every size and style of home. 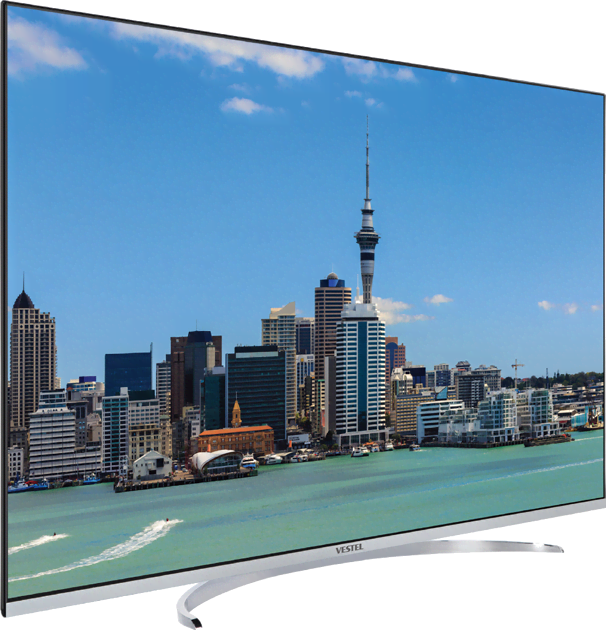 Concealing the line between the screen and the bezel, the model’s laminate film finish creates the TV’s borderless appearance whilst also reducing the risk of any unwanted screen glare. 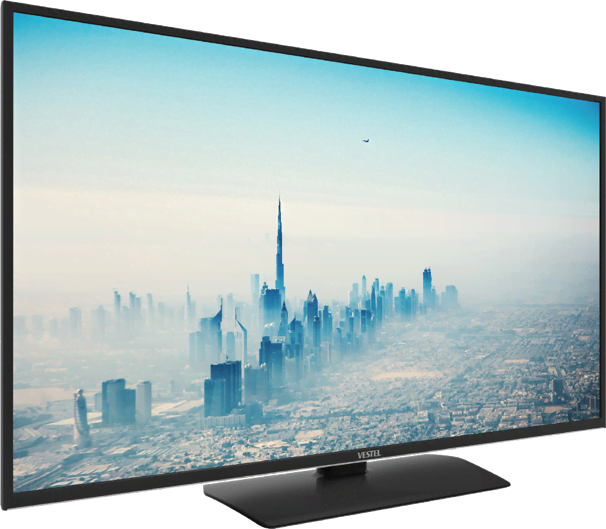 Vestel is enhancing TV viewing with its cutting-edge Elite UHD Series. 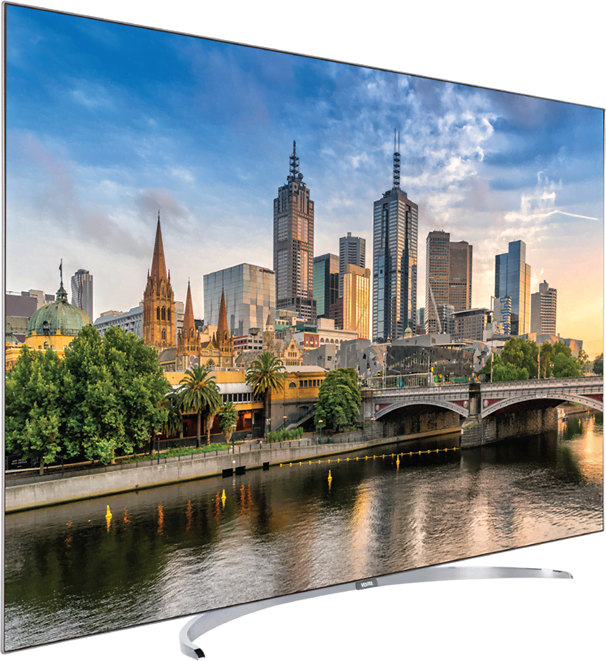 As well as providing life-like Ultra HD 4K resolution, the TVs in this range offer real world brightness and an expansive colour spectrum thanks to their HDR technology. Designed to deliver a more immersive and powerful TV experience, they also ensure easy access to HDR content, coming with Dolby Vision for true-to-life on-screen imagery. 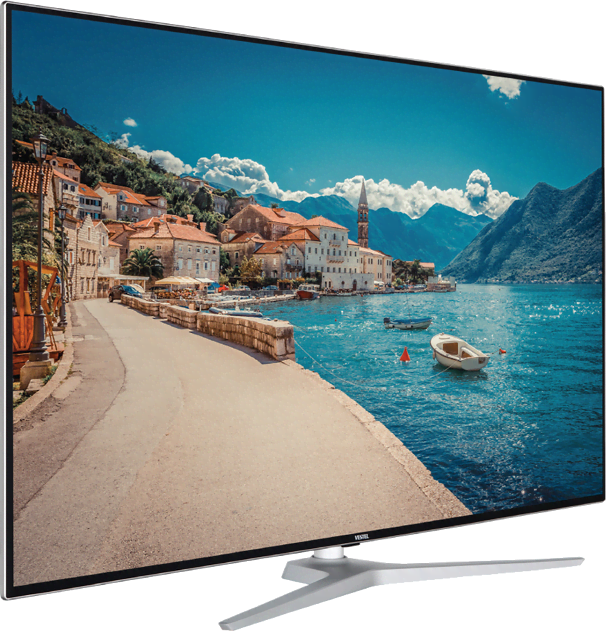 For wider, more inclusive viewing angles and sensational on-screen colour contrasts, the TVs in the series also come with Quantum Dot and Local Dimming features. Transporting viewers to the heart of the on-screen action, Vestel UHD TVs ensure pin-point sharp picture clarity as well as breath-taking colour vibrancy. Adding depth to every scene, they plunge viewers into alternate realities, making them feel a part of the on-screen story. With ultra-slim bezels, they ensure a more authentic viewing experience, offering plenty of 4K content via the Vestel Smart Portal. One of the first manufacturers to bring Smart TV to the mainstream market, Vestel is constantly enhancing its Smart Portal design, offering 24/7 access to even greater home entertainment variety. As well as access to movie and catch-up TV services, the Vestel Smart Portal enables viewers to log into their social media accounts and play the latest games. Designed for user-friendliness, Vestel Smart TVs also ensure that viewers can share any content from their Android devices straight onto the TV screen. Thanks to Vestel’s world-leading in-house production process, we can offer an unrivalled variety of TV models in a whole host of alternative designs and sizes. Developed with picture perfect Full HD technology, all the models in our range can also be made with various combinations of TV features. To ensure more viewing options, they come with embedded digital tuners as well as media browsers.